As Miami continues to grow, so does its flourishing pool of artisans churning out exclusive-to-South Florida gourmet delicacies. Do you remember your first foray into the baking industry? You could say Slice & Ice in Coconut Grove were the first people to carry my pie. My first real customer was Michelle Bernstein in 2008, who tried it, loved it, and bought it for a month before her pastry chef had a fit. Do you remember the first pie you baked? Yes, in the sense that I remember squeezing the Key limes by hand into the measuring cup, and I remember separating the eggs and grinding the graham cracker. I remember all that—cooling it, putting it in the freezer, and cutting myself pieces throughout the week. How many pies are you turning out weekly? All fresh stuff. We don’t use or add any sugar; we use high-quality condensed milk, fresh egg yolks, and fresh juice from real Key limes. We go through about 1,200 pounds of Key limes a month. Fireman Derek’s isn’t all pies and sweets, though. A lot of people don’t know that we do breakfast and lunch—sandwiches, croissants, quiche Lorraine. The empanadas. Everything from chicken to spinach and feta to queso. Sit in a room with Miami Gourmands long enough and it’s only a matter of time before someone starts comparing the Magic City to food meccas like New York, Chicago, or San Francisco. Typically the conversation will end with the question “So, why aren’t we there yet?” The answer: Because we got a late start—but we’re on our way. A young metropolis, Miami was founded in 1896 (compare that to 1624 for New York or 1776 for San Francisco). Miami Beach celebrated its centennial just last year, while Joe’s Stone Crab will wrap up its 102nd season this year. If you think about it, it’s pretty remarkable that the only restaurant in the city that’s been around longer than the city itself also happens to be the second-highest-grossing dining spot in the country (topped only by Tao Las Vegas). Yet the artisanal movement is transforming the culinary scene in Miami faster than anywhere else. If you need proof, simply pay a visit to Zak Stern’s kosher Wynwood bakery, Zak the Baker, where his sourdough bread generates a line of people out the door every day. 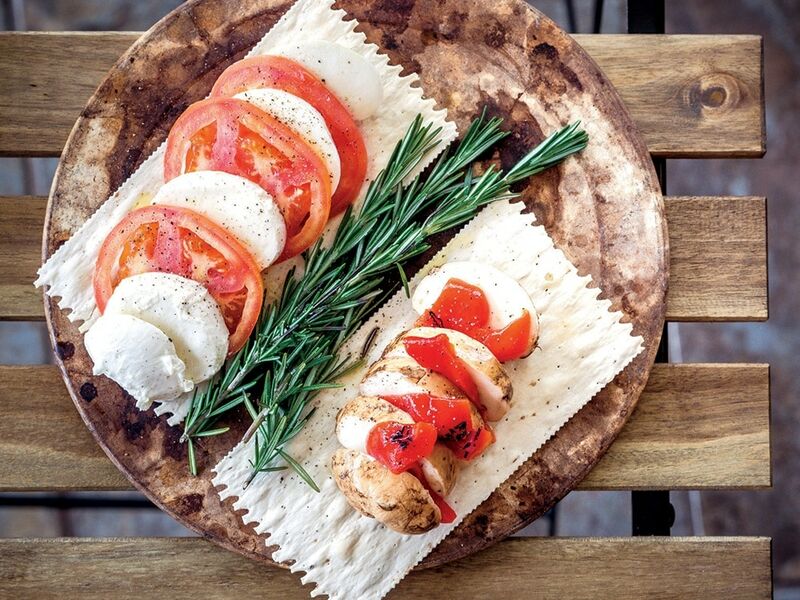 “We didn’t revolutionize the advent of bread,” Stern says. (Indeed, bread has been baked for some 2,600 years.) “We’re simply carrying out the oldest tradition in the world, but I’m glad Miami is starting to be proud of homegrown initiatives.” His beautifully baked loaves can also be found at local Whole Foods supermarkets alongside other South Florida delicacies, like Funky Buddha sourdough (made with grains from Funky Buddha Brewery’s Floridian Hefeweizen), Jammy Yummy organic vegetable jams (produced in the small home kitchen of Agnès Gallardo), and Keez Beez raw wildflower honey. “When I think of an artisan,” Stern says, “I think of a person who makes something with their hands.” And more than ever, Miami’s restaurants and culinary craftspeople are devoting their time to meticulous handiwork. Washington Charles [my partner] and I know the guy who owns HI Miami Beach Hostel, the hostel that Taquiza is in, from our days at the Freehand [The Broken Shaker]. He had this space and called us to do something that was simple, cool, and people could walk up to. He said, “Let’s do tacos.” The only thing I kept saying is, “If we do tacos, we have to do them authentic and grind the corn.” Meanwhile, I’d never done any of that. I’m still learning and tweaking, but we were so close to opening that we had to learn on the fly. I bought all these books on Amazon. One of my favorite people ever, Dave Arnold, president of the Museum of Food and Drink, did a random blog post years ago about the whole process of cooking corn and how to grind. That’s what I refer to. Where do you get your product? We started with Anson Mills yellow corn from South Carolina, but now we use blue corn exclusively from Masienda that comes directly from Michoacán in Mexico. How much do you make daily? We’re going through about 20 kilos of masa a day. How should people dress their taco at Taquiza? 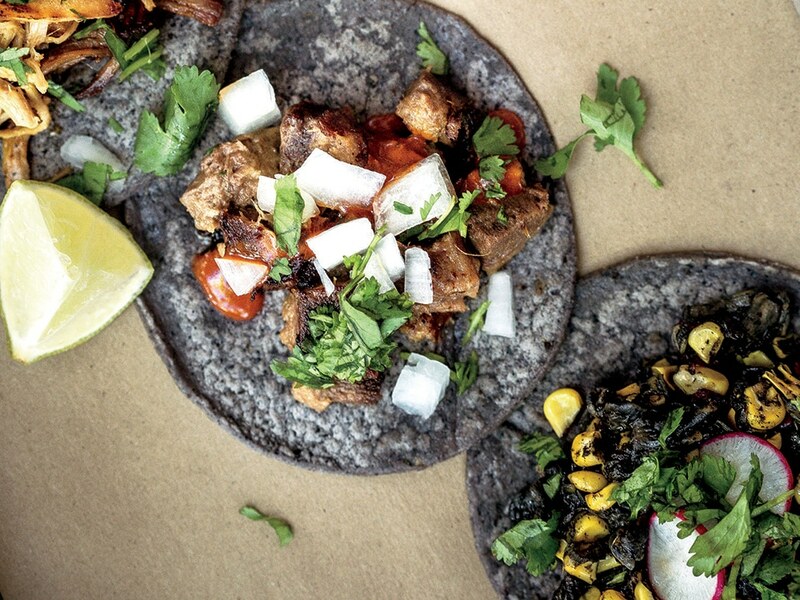 We started with four—barbacoa, pastor, lengua, and carnitas—and now we have nine. Cilantro, onion, and radish—that’s what I would do. Take unassuming cheese maker Bruno Ponce (a former executive chef at Casa Tua), who twists and turns 560 pounds of cheese by hand daily, crafting spheres of fresh Burrata (with flecks of porcini and truffle), knots of mozzarella, and other dairy delights. His work is delivered to Italian standbys such as Joey’s, NiDo Caffe, Café Abbraci, Café Vialetto, and Café Ragazzi, as well as major players like Juvia, the Biltmore’s Fontana, and Michelle Bernstein’s Seagrape. Each restaurant gives the cheese its own spin (and price), but the best way to savor Ponce’s cheesy dexterity is in his sliver of a café, Mimmo’s Mozzarella, with a board for two, a bottle of wine, and maybe even a pizza. At the new farm-to-table restaurant Dirt, the eggs arrive from Fort Lauderdale’s Sun Fresh Farm & Ranch, where the chickens roam free and enjoy leftovers from the grocer, while fertilizing the soil to grow kale. The names of local farms like Verde, Paradise, Little River, Harpke, and Swank grace the menus of restaurants all over town. “We don’t have a freezer,” says Elad Zvi, a partner in the hyperlocal 27 Restaurant & Bar. From the arepas to the malawach (a fried bread originating with Yemenite Jews) to the guava pan de bono, everything at 27 is made from scratch—and what it doesn’t get from local farms or fishermen, it plucks straight from its rooftop garden. You were originally a pizza maker. How did you end up in the cheese business? Pizza and cheese go hand in hand, literally. I’ve worked with my hands for 28 years, made pizza for 15, but didn’t know how to make cheese by hand when it’s the most artisanal act. I wanted to master the craftwork. Working at Sardinia, this guy Mimmo made all the cheese. I convinced him to teach me. It starts at 6 AM every day. We get the curd from Massachusetts and boil water to mix with it and make a paste similar to pizza. Once the temperature and texture are ready, then we modify it and make them one by one and always by hand. Isn’t it easier to use a machine? Yeah, it’s easier, but I’m creative and don’t like shortcuts. What are the options and what’s your favorite? The Burrata—it’s creamy and explodes in your mouth. We also have mozzarella rollatini with bresaola and arugula, yellow cheese with sun-dried tomato and mozzarella, ricotta salata, aged cheese with truffle and porcini, and for dessert ricotta panna cotta and stracciatella with berries and honey reduction. What’s your biggest pet peeve when it comes to cheese? When they use the same knife to cut a Brie and blue cheese. Every cheese has its own distinct taste; you need to not mix up the flavor profiles. You’ll be participating in the South Beach Wine & Food Festival for the first time this year. How did that happen? Mandolin, Essensia, Beaker & Gray, Edge Steak & Bar, Alter, and Basil Park are just a few of the many local restaurants growing their own produce, but the ethical sourcing of animal products is equally important. At Golden Fig, the lardo (made in-house with a prep time of six weeks) comes from a Hungarian breed of domestic pig called Mangalitsa. Superbly juicy with phenomenal flavor, the meat is shipped overnight via FedEx from Pasture Prime Farm near Orlando, which also raises grass-fed Wagyu beef and free-range poultry. Kush and Social Club are cooking up Florida alligator. Trigger Seafood braves Mother Nature every morning to haul the day’s catch from deep ocean waters to the kitchens of places like Michael’s Genuine Food & Drink, DB Bistro, and 27. The butcher shop and meat market Proper Sausages in North Miami is responsible for the links at Mignonette, Blue Collar, Seven Dials, Fooq’s, and Kush, where the craft beers are either local (some aged in the cellar) or extremely rare. At the craft beer market Bxlder, you can imbibe a rotating selection of 15 local brews (or take one home in a growler).. Speaking of suds, Wynwood (and Miami) is well on its way to becoming a brewing mecca. With Wynwood Brewing Company, J. Wakefield, and Concrete Beach within walking distance of each other, you could easily drink your way through all three in one day. Or trek to MIA Brewing in Doral, Funky Buddha in Oakland Park, or Schnebly Redland’s Winery & Brewery in Homestead, the only winery-brewery combo in South Florida. California may be the country’s largest grower of grapes, but in the Sunshine State we’ve got tropical fruits, and at Schnebly you can sip vino made with local avocados, lychees, guavas, or mangos. Whi le you’re down in Homestead, you might want to join the hourlong (if you’re lucky) line at Knaus Berry Farm (now in its 59th season) for its famed strawberry milkshakes and freshly baked cinnamon rolls. They’re worth the wait..
For the city’s craftiest pizza, it’s a toss-up: Proof, Lucali, and Visa-O1 (hidden inside a residential building) all nix the mixer when creating their dough, using nothing but bare hands—a skill so rare that it lends Visa-O1 its name (an O1 visa is for immigrants who possess an “extraordinary ability”) and earned owner Renato Viola a spot on Italy’s award-winning Acrobatic Pizza Team. At Macchialina, Michael Pirolo and his longtime pasta sidekick Francisco Fernandez serve up seven to 10 fresh varieties at a time. My wife was always very clear about a couple of things she felt were lacking in this town, one being sausage. The English take it kind of seriously. Local sausage is part of a meal over there, and here, sausage would always be so horribly disappointing. What is a proper sausage? Something you can have with a plate of mashed potatoes and gravy for dinner or on a brunch plate with potatoes and beans. Was there an outlet that helped launch Proper Sausages? We started at farmers markets, but Blue Collar was the first restaurant. I staged for owner Daniel Serfer when he was chef de cuisine for Allen Susser, and he opened his doors at the same time we started selling. Which farms do you work with and what are the criteria for selecting them? We like to know what animals are eating—antibiotic- and hormone-free and fed in ways that are natural. Jackman Ranch in Clewiston, Lake Meadow Farms in Ocoee, and a group of farms called Berkwood in Iowa are where most of our pork comes from. What’s the biggest misconception people have about the meat they’re eating? That there’s something inherently unhealthy about meat. The industrialization of meat is 150 years old, if that; you know how long ago humans started eating meat, and nobody started dying of cancer until the last 150 years. What are the top sellers? For a different kind of doughy experience, head to the only authentic ramen house in town, Momi, where Jeffrey Chen maintains Japanese tradition by starting his broth at 6 am every day. Or to Tropical Chinese, where employees have been pushing carts stacked with handmade dim sum for three decades. Even Alter is making its own Chinese-style udon noodles, cutting them by hand and crowning them with local rabbit and porcini sabayon. Try them with the house-made bread, crusted in sumac and dill (only 20 loaves are baked daily) and served with a life-changing umami butter. 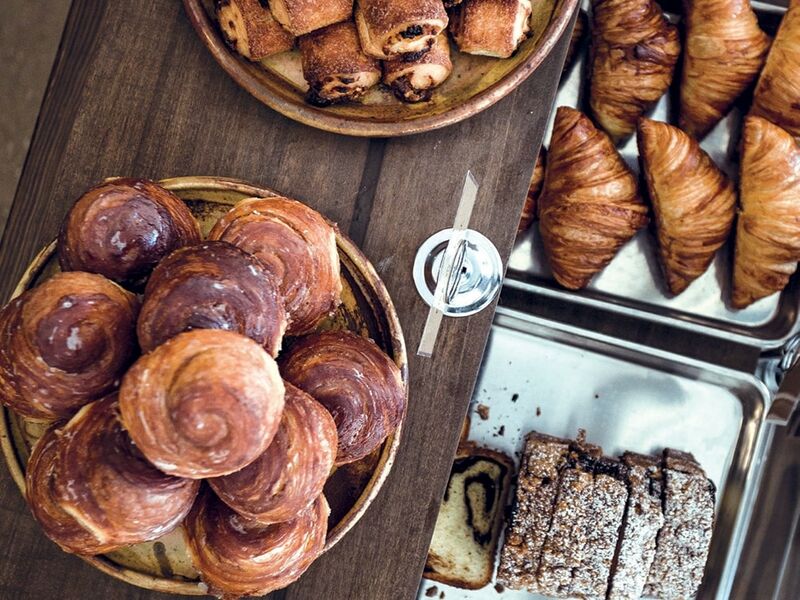 Lovers of carbs can sate their craving at True Loaf in Sunset Harbour, where Tomas Strulovic bakes the city’s best croissants. His bread and pastries can also be found at Panther Coffee, among other establishments around town. 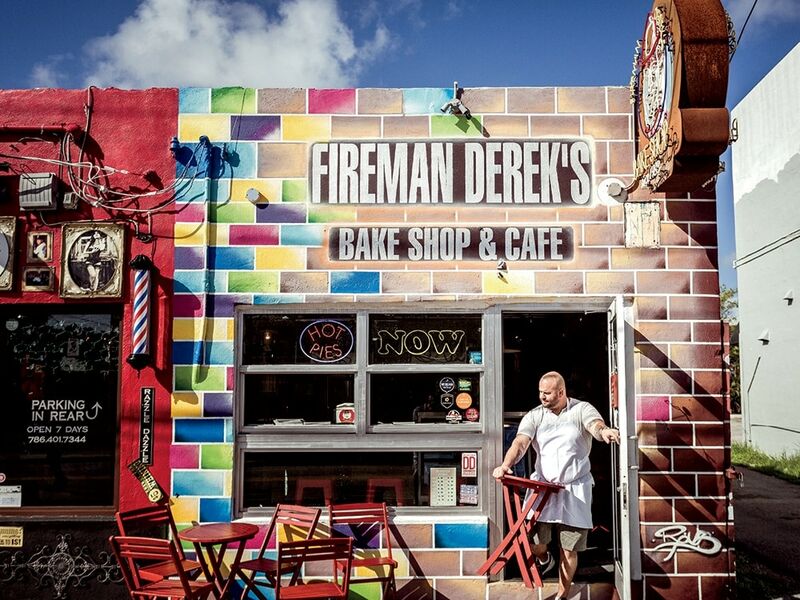 Miami chefs are going the distance for authenticity, like all the way up to Davie at dawn to get warm buttery rolls from Old School Bakery (that’s its actual name) for the fried clam belly and lobster roll at Izzy’s Fish & Oyster. “Steve O’Leary has been baking bread for 45 years,” says William Crandall, the executive chef at Izzy’s (and formerly Azul). “Once you taste it, you’ll understand.” To make its authentic croque monsieur, Fooq’s gets its bread from La Parisienne up in Sunny Isles. At the Edgewater pearl Mignonette, the rare, exclusive wild oysters come straight from Maine’s Damariscotta River through a partnership with Sea Salt Lobster. The taco bungalow Taquiza sources its blue corn from Michoacán, Mexico, and practices the lost art of nixtamalization to produce the perfect tortilla, which is delivered to Jean-Georges Vongerichten’s Matador Room and Tom Colicchio’s Beachcraft, restaurants from celebrity chefs who rely on local artisans. You went from the pharmacy to bread making. How did that happen? I was 22 and depressed. I didn’t know very much about anything in life. I knew biology, but I didn’t know how to build a house, tend clothes, grow a garden, bake a loaf of bread, so I took a chance and dropped out of school and started this pathless journey of going from one farm to the next, learning the basics of life. Why come back to Miami and start baking? I broke up with a girl and had two options: become a German carpentry apprentice or start doing my own project. So I chose my own and went to Central Florida and bought four Alpine goat babies, started raising them in my backyard, and put a used pizza oven in the garage. Michelle Bernstein was your gateway to Miami’s culinary scene. How did you two get together? I started off at a farmers market, then Perricone’s, who suggested I take my bread to Michelle. She tried it and within one second said, “When can you start?” and I said, “Next week,” which was a lie. I was so not ready to begin baking bread for Michelle Bernstein. Things will change soon when you move to a gallery as a full-time restaurant/bakery. Basically it’ll be an artisan bread factory with an outside coffeehouse. The current place will turn into a traditional and certified kosher deli. What’s your favorite loaf of bread? Here in Miami, it’s also fruitful (and flavorful) to stay as close to home as possible by working with our native ingredients. When mango season begins, Alex Chang, the executive chef at Vagabond, goes foraging for unripe fruits to combine with ripe mangos in his green mango umeboshi, an explosion of Miami tropicality. Even the Cuban sandwich has gone artisanal at places like Miami Smokers, where it features everything from house-baked bread to Wynwood Brewery beer–spiked mustard and pickles. 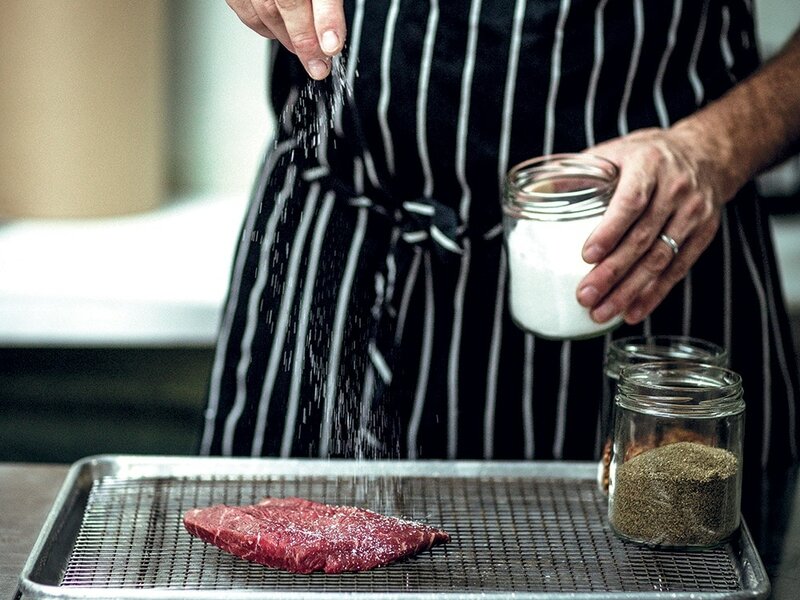 They take a DIY approach to charcuterie, just like Aaron Brooks at Edge Steak & Bar and Patrick Rebholz at Quality Meats. Visit Edge two nights in a row and chances are Brooks will have added something new (such as cheesy kielbasa or chicken liver pâté) to his house-made selections, while at Quality Meats the Jai Alai “pigs ’n blanket style” sausage (made with Cigar City Brewing’s Jai Alai IPA) is a hot charcuterie staple. Yes, we can, and it’s the future of Miami.